Welcome Scandustrial style into your home with the LANE table lamps. 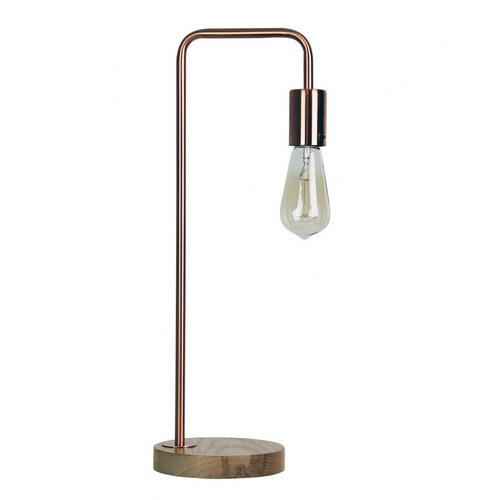 Available in black, white or brushed-copper, the LANE table lamp is ideal for use as a bedside or living room lamp. Timber base. 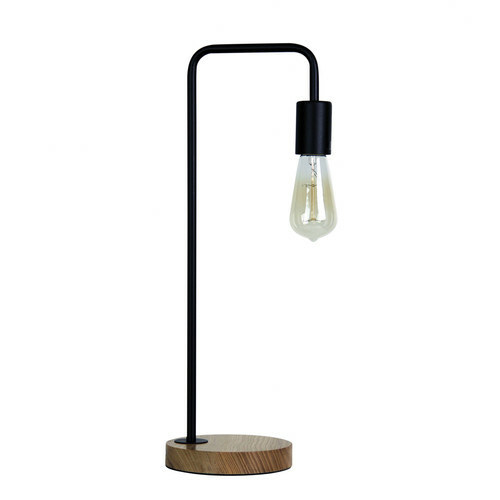 NB: As this part of the lamp is made from a natural timber, some colour, texture and grain variations are to be expected. 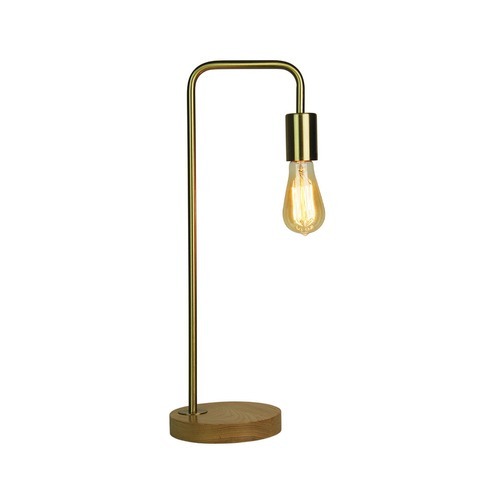 The Lane Table Lamp Base is a Industrial style product. Industrial style is practical and minimalist, industrial style is all about clean lines and no-frills. Industrial spaces often incorporate these three elements: metal, wood, and exposed or weathered features, such as bricks. Often uses reclaimed items. This style combines a modern look with a rustic appeal. 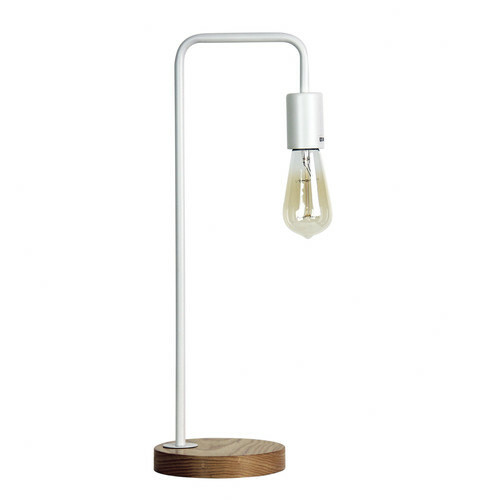 You can shop for more Industrial Lamps in the Lighting section of our site. When you buy a Lane Table Lamp Base online from Temple & Webster in Australia, we make it as easy as possible for you to find out when your product will be delivered to your home in Melbourne, Sydney or any major city. You can check on a delivery estimate for the Oriel Part #: OL93131BK / OL93131CO / OL93131WH here. If you have any questions about your purchase or any other Lamps product for sale our customer service representatives are available to help.Whether you just want to buy a Lane Table Lamp Base or shop for your entire home, Temple & Webster has a zillion things home. I love the minimalist, lineal look and it suits my decor perfectly. I wanted black lamp with no fluffy or overdone bits... done! Love this lamp will be ordering another one ! Looks great in my guest room.